Our Vision ~ Our Future ~Lets Be Ready! I know all of you who visit here share similar thoughts.. We all wish for a more Peaceful World, whereby we can stop destroying the very planet that gives us breath..
We are witnessing such clearings around the world, We saw it in the financial collapses, the revelations about corruption, the revolts of dictatorships, the clearing out of those that do not align to the highest good will start and happen.. The frequencies of our planet are altering, and as they do they are bringing forth more honesty, and openness, as we awaken spiritually again. Its not going to be the over night success story, no we are seeing the birthing pains as I have mentioned here before on my PostDo You Choose Love Over Fear? I wrote this in June of Last Year. Giving Birth is not without pain, and our new earth is only now going through her own birthing pains. .. We see it in the spasms of conflict, the wars, Hunger, poverty, displacement of refugees and the destruction through pollution of Mother nature. Pains which are now being experienced which we humans have carried with us over many life times which emerge as we have built up Fear and Prejudices. When we women give birth, we have many contractions, each one getting more and more stronger.. So too we will see as we move through the coming years events which on the surface to many may seem to many of us chaotic, disturbing, and which may impact upon ALL our lives.. But we choose to be here at this time of Change.. The post that illustrates this best for your reading is a post I did in 2008 Called Gaia-The Earth Changes Here I share some channelled writing I had given me from 2006 from those realms who inspire us from Spirit to set us upon our path as they awaken us to to the reasons why we came to Earth again.. A quote from this channelling reads..
“More are awakening, more are remembering, and saying I Am, I Am All that there is. I Am a Devine being, I Am Eternal. More are recognising who they are, whence they have originated from, and to where they will return. So how about it, are you ready with your Vision? What World are YOU going to create for our FUTURE? While I am always upon my posts trying to promote the positive, sometimes it is necessary for me to touch upon the negative. We reside within a world of which we cannot experience one without the other. The Solar Eclipse 20th May 2012 presents us with a time of New Beginnings as some of our old patterns are starting to end. This new beginning is both within the Energy of our Earth Mother and within ourselves as the solar eclipse and its alignment of planets is allowing for greater energy to be discharged into our Earths Energy Grid. Many things are starting to escalate at an even faster pace, and I am sure all of you reading will have noticed just how much faster we are experiencing our Days, Weeks, Months, as our concept of time accelerates with that of the speeding up of our vibrations. Our perception is the key to many things, so I want to ask that you now start to perceive within your own minds what kind of a world you want to live in the future. The future already is moving minute to minute right now..Those minutes are ticking away and we are already within the past as we view them within our Linear time. But don’t get me started upon the concept of time for that too is not as it seems, but I will leave ‘Time’ for another Day. 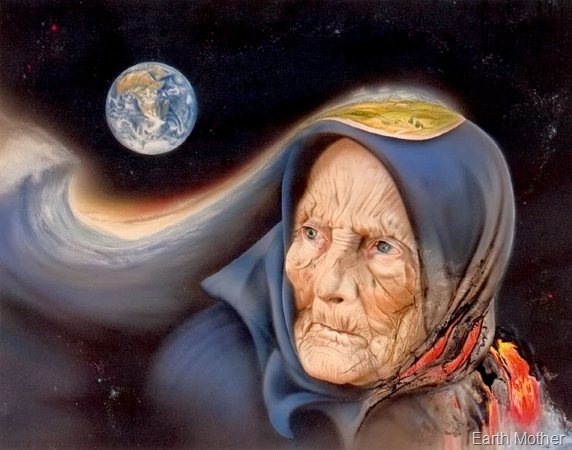 Our Earth is an all wise Mother, who has transformed within her own evolution many times, And she is yet again coming to that time when once again she transforms as she ends another cycle and is ready to embark upon her New Beginnings as she takes those in alignment with her upon her journey. Our World is changing daily, we are living through these times of Change. We see it as people are starting to wake up to their reality. They no longer wish to be bound and chained by indoctrinated thoughts. They are starting to express and voice their feelings and can see ahead of them what their Governments can not. Some years ago now, I was given through Trance states and through my Automatic Writing sessions information which at the time I thought would be way way off into the future and not within my own lifetime. Even I did not wish to believe my visions which were given and so very clear even to this day I see them as I hadn’t wanted to believe. My guides and inspirers told me that the monetary systems would fail, and that chaos would ensue. They spoke of Floods and huge loses of life. and of Great Storms, all of which we can find else where in various prophecies I know. They told me of the Mass exodus of our various species of animal and aquatic life. All of which we see is already happening today. I do not say these things to bring you Fear, But I do bring them to you so that you can open your eyes and be prepared. For once the First Domino starts to fall, so too will the rest quickly follow. We are all of us tied within the Conscious Stream which is connected to our Earth Mother, She has been going through her ‘Birthing Pains’ for some time, as she is shedding her old form to bring about the new..
We are changing together and many do not realise that our energy systems within our own bodies are tied within that of our Earths. And as we begin to see our fellow human beings around the world rebel and stand up for their freedoms as they want Change as they awaken to the reality of this world.. So too our Earth Mother is awakening and she too is venting off Steam as many of her volcanoes around the World start to awaken and erupt. And like the Domino effect we humans have caused, she too is getting ready to Blow as she will shake and rattle us to awaken us from this material 3D world as she shifts our awareness and consciousness to the next level of our progression. We each of us need to understand that our thoughts and our Energy plays a huge part in the Grid of Energy surround ourselves and our Earth plane. Whether you remember why you came here at this time or not, it is each of our responsibly to want to change our World to hold a better more peaceful future for our Children’s Children..
Use the energy today of the solar eclipse to send out your thoughts and visualise the Light and Peace enveloping our Earth as the Solar Eclipse helps with bringing forward more Light and information into our Consciousness that is helping us within the Changes at this time..
Set aside some of your time today to send our Earth some Healing, as you bring down the light and love into your hearts and into the centre of our Mother Earth.. We are upon this journey together.. Here are some of the Times where the Solar Eclipse can be seen.. I wrote a Poem for our Earth Mothers Big Day..
Earth Mother, oh Earth Mother We Awake. Earth Mother, Oh Earth Mother..
Sewing Seeds~ Synchronicity And Your Heart. THESE SEEDS MUST BE PLANTED WITHIN THE COLLECTIVE . Synchronicity seemed also to be at work today as well,for just as I saved the video on external draft and later pressed the search button for ‘seeds’ of my draft title, this document jumped out at me,which I wrote in 2007 in my automatic channelled writing days. So I will also add it here.. as it seems very apt. The Seeds of Knowledge come to us in many ways, just like our jigsaw pieces making little sense on their own.. But when we plant nurture and tend them they grow and flourish. We are all seeds….. each of us upon our own journey each of us appearing as separate, and yet we are all of us linked together. It is now time to gather together and spread out our own seeds of love compassion and understanding, and sow them and nurture them. For our Earth and our Brothers and Sisters around this Earth need to feel that love.. We really do now need to start and visualise and live from our hearts as to what type of world we want to live… It is as simple as learning to live from your Heart. Please keep love alive in your hearts.. Live from your hearts and do not adhere to Fearful traits ..For we need to help our Earth in this Time of Change to Shift our Awareness- our Consciousness into that of Love, Unity and Peace. Once again embracing the love of Nature and each other..
Below is the document that jumped up at me.. I had started to doodle upon the top of the page as I tried and thought unsuccessfully to link in. I doodled which ended up looking like a string of pearl like beads like so. You may think you are doodling. But are they not tiny beads? A sphere, perfect and round and each one looking the same? But each is individual. They are beautiful in their own right, and yet when they are linked together with similar beads, does not there beauty increase? And does not it then become something for someone to treasure, to adorn their person. You are gathering to you at this time seeds of knowledge. On their own, they may not appear to make sense, and seem worthless bits of information. But if you link it all together, you will see a story unfold. Gather unto yourself those seeds, link them together, and then be proud to show the knowledge you have adorned upon your person. Be proud of who you are, of all your achievements of you goals, and most of all, be proud of yourself. We who are sending those seeds of knowledge, we will be proud you shall wear the beads of truth. Our love and Blessings, your Brothers in Arms, once more bids you welcome and asked that you hold you high your light. And let no man extinguish it. Be proud sister, we are with you at all times. Call upon us and we hear, trouble yourself not, and do not be afraid to lead. Stand tall, be firm, and go in peace. We aim to serve, which is what you and your group have also agreed upon. Serve well, and so it is as it shall always be, in love truth and light. I have come to that cross-roads once again in life when we have to hold onto that Faith that we are all within a huge Plan that is orchestrated by the Great Conductor of Life. As I trust that I am being led to that place where I am needed next. Yesterday I went through my bookshelves and came across an old journal of mine dated back to 2004, I flicked through it today and it was as if I was guided by my unseen friends yet again to find that inner strength as I read the Automatic writing transcripts from way back then. At that time I was obviously reading a Book called ‘Tomorrows God’ By Neale Donald Walsch and I had been searching then for answers and the channelled writing gave me some guidance.. So as I flicked through the pages today, I re- read what was written and I once again thanked my unseen friends for lifting me up once again to see the light in my self-made tunnel of disillusion with the World. Here is part of it. Channelled back in July 2004. It is no coincidence that your reading matter is of GOD and TOMORROW, Tomorrows god will change the views of many. You are an ambassador like many others, who in simple terms will change their own life’s plan in dramatic ways. But not only will you start a chain reaction by connecting the thoughts you have but also by teachings others that through the ‘Power of Thought—Everything IS Possible.. You Can and Will move Mountains. The Tomorrows God teachers that you have to forget Yesterdays Gods ways of teachings that ‘Man’ has laid down.. But you will understand that you are All joined together in a common theme… To Love To Care- To be Kind and Compassionate- To Forgive- To Heal- To Help- To see that every action you do unto your brother- you do it to yourself. Remember that every action has a reaction, and a consequence- This is like a ripple and will spread out and then come back to the source it started from. Your energy that you give out whether Negative or Positive will eventually come back to the source, remember what goes around comes around, and so give out only that which you want to receive. For be sure as it goes around it gathers to it more of the same vibration and will return to the source 10 fold. Remember what you give, so shall you receive. We give you eternal love dear sister, and we will be with you in your new venture, and will demonstrate to you how you can give out more of the love vibration to others. Fear not tomorrow for the Tomorrow is the New Dawn. The tides of Vibration are turning and you will flow with the tide of a sailing ship with sails slung high, your prow will be held high in the water, And your course is set to gather more of that love to set upon distant shores. Fear nothing—But be true to yourself and others, and you will see the changes as you will become as us. A Light—A Spark—A beacon that shines out in the dark sea, to guide others home. To guide them to Truth, To Guide them to Knowledge and to see where the ship lands anchor . Know that your journey is one of self discovery and in so doing you are helping others see the Light as well. And so as I stand on the Cross roads of Life’s Game once again.. I set my course by Trusting in that Faith and Light that ALL is as it should be as I AM on that Road of Self discovery Yet again.